As a physician who practices in the ER, I recognize that many people may find it hard to determine when they are in real medical emergencies. However, it's imperative to understand that where you go for care matters. In a true medical emergency, please pursue immediate care in the nearest emergency facility; but when your care is urgent and not life-threatening, I would encourage you to take stock of your options. This decision is very important in order to avoid potentially exorbitant out-of-pocket emergency costs. Think of it this way: Would you pay $5,000 for a TV being sold across the street if you could buy the same model for $500 just a mile away? You would likely choose the more affordable price, even if it were slightly less convenient. Seeking health care services is naturally more serious than shopping for home electronics; however, it’s still critical for patients to apply some of the same consumer logic — a logic that can be easily overlooked when a patient cannot differentiate an expensive health care facility from an affordable one, or an emergency room from an urgent care facility. In 2009, freestanding emergency rooms (ERs), a new provider type, began proliferating in Texas. Freestanding ERs are not attached to hospitals and in most instances are not a part of a hospital’s network of services or providers. Many patients are unaware that these facilities are often classified as out-of-network by most insurance companies. Additionally, because of location and appearances, they are often confused with urgent care centers, which are much more affordable. Urgent care clinics can give you easy access to health care when your sickness or injury is serious but not serious enough to require an ER visit. It is important to understand that freestanding ERs can charge up to 10 times more than urgent care centers charge for the same services. Adding to the confusion, freestanding ERs may use potentially misleading marketing materials and website language that can be confusing to patients. Many advertise that they accept all insurance plans. However, this is not the same as being “in-network,” and often leaves consumers responsible for large portions of their bills. Today, more than half of all freestanding ERs in the United States are located in Texas. There is a common — and false — idea that freestanding ERs primarily provide care to Texans in underserved areas who currently lack access to proper emergency care. Research shows that the owners of these types of ER facilities prefer to build in affluent neighborhoods where there is already a wide selection of health care options such as hospital-based emergency departments and physician offices. How have freestanding ERs developed so quickly? These facilities succeed under a low-volume, high-per-capita-income model — meaning they see just a few patients per day who pay a lot of money. Because of this, most freestanding ERs choose to stay out-of-network, where health insurance companies don’t negotiate lower prices. I was stunned to learn that the average cost to treat bronchitis at a Texas freestanding ER is around $3,000, compared to $136 at a traditional doctor's office or $167 at an urgent care center. In many cases, consumers are left confused and angry after receiving surprise medical bills following their visits. I urge patients to seek the appropriate care for themselves and their families, at appropriate times and places. Being knowledgeable about your options can make a big difference. 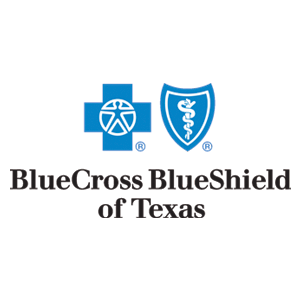 Blue Cross and Blue Shield of Texas offers free information to help you make informed decisions to get the right care at the right place at the right time on our Where You Go Matters website. This is also a critical time to request support from your Texas legislators and push for more accountability from freestanding ERs that will strengthen protections for consumers and employers. Texas Senate Bill 507, and its companion, House Bill 1566, were both recently filed in the Texas Legislature. If passed into law, they would provide patients more protection regarding balance billing, which occurs when a health care provider bills a patient for the fees that exceed the amount covered by their insurance. The Texas Association of Health Plans supports expanding the use of mediation for patients to challenge balance bills, including those issued by freestanding ERs. Controlling health care costs for individuals and for our state is a complex matter that requires the combined effort of the government, insurers, hospitals, physicians and informed patients. As a statewide, non-investor-owned health insurer serving the people of Texas for more than 80 years, we will continue to advocate on behalf of our members and health care consumers in the fight against rising health care costs. Legislative action for young parents in foster care?